Over the past few weeks, I've been testing out the Foaming Body Wash by Eco by Sonya, which was sent to me by the wonderful team at Organically Epic. I've really liked this body wash, it smells divine and a foamy body wash is so much more fun than your standard shower gel! Although it looks like liquid in the bottle, when pumped, the wash comes out as foam. I have found I have needed around 4 pumps to get the desired amount for my body. It rubs in easily and you don't really need a thick layer. I have had to be quite conservative with the amount of pumps though, as it does run down quite quickly otherwise. It smells really nice, you can really smell both the lemongrass and grapefruit when applying. I really like pairing it with the Pink Himalayan Salt Scrub, as the two smells compliment each other. It washes off straight away as well and leaves a light scent on the skin. The product isn't particularly moisturising, but it doesn't have any soap or sls in so it doesn't strip the skin at all. Although I usually prefer moisturising shower products, this wash has still gone down well with me. I feel clean, but not that 'squeaky clean' feeling where you feel like you've lost a layer of skin. It's very gentle on the skin, it would probably work well for people with sensitive skin (not that I'm an expert on sensitive skin!). Like all of the other Eco by Sonya products, this wash is also certified vegan. A giant plus for everyone involved! Also, look how cute all of my Eco by Sonya products look next to each other! 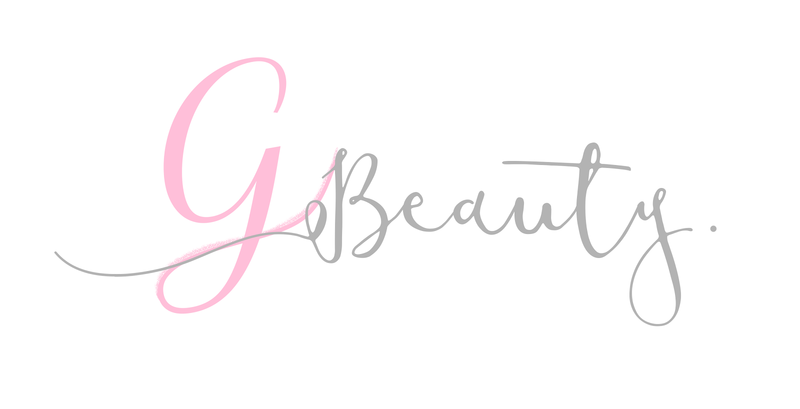 I have reviewed the Pink Himalayan Salt Scrub and the Invisible Tan as well. Hint: I loved them! You can get your Foaming Body Wash here, if you wanted to test it out for yourself! 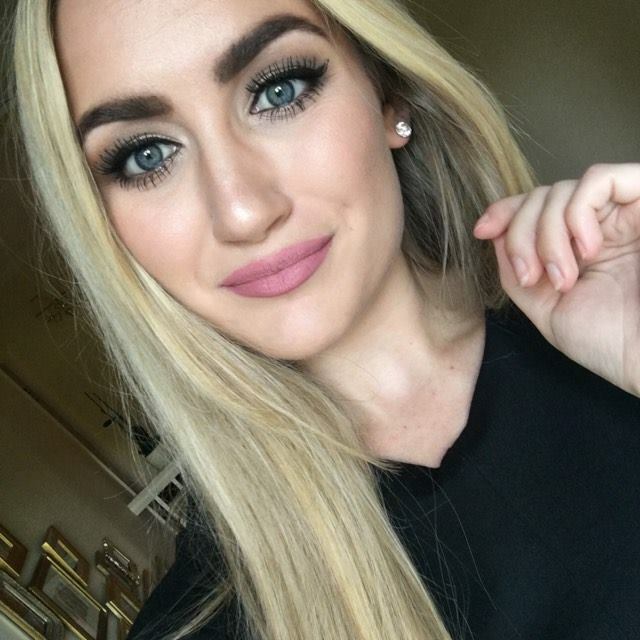 Don't forget to use the code gbeauty10 for 10% off! 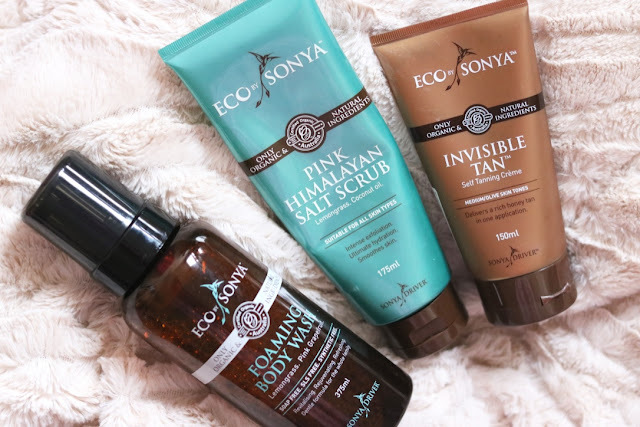 Have you ever tried anything from Eco by Sonya?